If you suffer from chronic fatigue, you likely already know it. Its symptoms include exhaustion that can last for days at a time, loss of memory and inability to concentrate, and sleep that doesn’t seem to put you back on your feet. 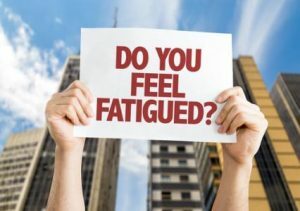 Chronic fatigue syndrome, known technically as myalgic encephalomyelitis, appears to be caused by any of several factors: infection, hormonal changes, issues with the immune system, or a combination of these. Intriguing new research points to an additional possibility: damage to mitochondria in living cells, or mitochondrial disease. What Are Mitochondria And How Do They Impact Chronic Fatigue? Mitochondria are organelles which make energy production within living cells more efficient. A theory about how mitochondria formed suggests these organelles didn’t evolve as part of our cells. Instead, in the dim recesses of the past, before multi-cellular organisms such as animals evolved, proto-cells fed on other proto-cells. One type of cell was the kind that led to modern plants and animals. Another type led to mitochondria. At some point, a single-celled organism fed on a mitochondrion – but its prey didn’t die. Instead, the mitochondrion found itself in a hospitable environment within the cell that devoured it – and the cell that consumed it discovered the mitochondrion made it more efficient at processing energy, giving it a significant boost. A happy symbiosis formed, and ever since, mitochondria have been part of living cells. Proponents of this theory point to the fact that the DNA in our cells has no code for creating mitochondria. Instead, mitochondria carry their own DNA. Mitochondria create energy by breaking down fatty acids and carbs. They convert these into a chemical called ATP, which is easier for our cells to use than pure carbs and fats. So our mitochondria provide an efficient way of producing fuel in our cells. But what if mitochondria suffer damage? This reduces the efficiency of energy production in cells. What does low energy in a multi-celled organism like a human being look like? Fatigue. At present there is no single cure for chronic fatigue, no pill that will make the problem go away. However, functional medicine takes a holistic approach to healing, looking at diet, stress, and exposure to toxins in the environment, to name a few factors your practitioner may take into account. Functional medicine doesn’t simply address immediate symptoms, it digs into the root causes that led to the underlying condition. As a functional medicine practitioner, I may look at genetic factors as well as environmental issues when treating chronic fatigue. Several tests can be used to determine if mitochondrial disorders have contributed to chronic stress. Dietary changes may help mitochondria repair themselves, thus increasing energy levels. So revising your diet or addressing certain supplements can be an essential component of your treatment. When treating chronic fatigue, there is no one-size-fits-all approach. But there are treatments or combinations of treatments that may dramatically improve or eliminate chronic fatigue. Functional medicine’s goal is not simply the removal of the underlying condition, but optimizing your overall health.